Wow! What a line up for this years Oceanfest which takes place 5 minutes down the road from us! 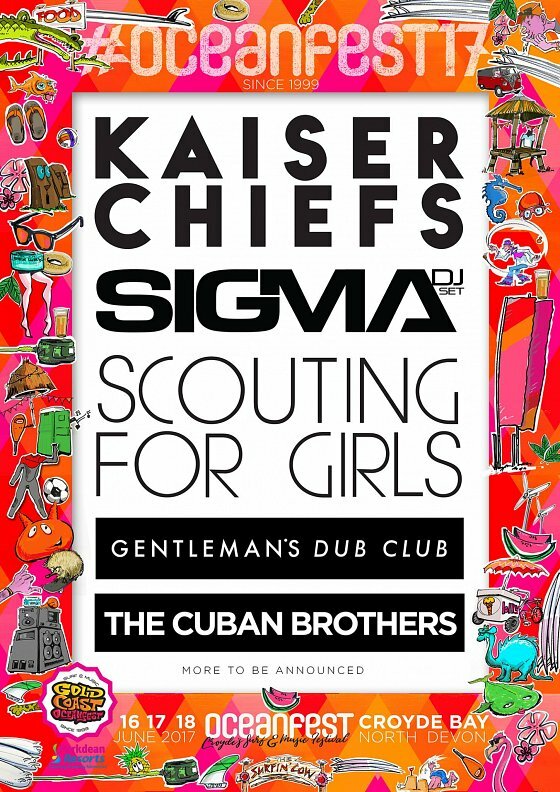 Kaiser Chiefs, Sigma DJ set and Scouting for Girls! 3 days with over 20 bands - more acts to follow. The very backbone of Oceanfest is the dozen or so competitive sports that culminate over the 3 day event, incorporating disciplines and activities such as Skateboarding, Surfing, Beach Volleyball, Beach Soccer, Surf Life Saving, Ironman & Diamond Lady events, the Nipper Challenge and Open Water Swimming.